Located in the Gulf of Thailand and with a with an abundance of marine life, Ko Tao is one of the most popular scuba diving locations in Thailand. Situated to the north of Ko Samui and Ko Pha Ngan, this small island is home to a large diving community and if you are looking to obtain your PADI diving certificate during your trip to Thailand, Ko Tao represents good value for money. But don’t let that put you off if you’re not a diver. This attractive island has plenty going for it above the waves with its palm-fringed beaches waiting to greet you. Many visitors return to Ko Tao year after year, seduced by the easy-going nature of island life. Ko Tao has long been popular with backpackers and independent travellers, but in recent years has seen the arrival of more families and an increase in the variety of accommodation available. The name Ko Tao translates as ‘Turtle Island’. Some say the name is derived from a time when sea turtles were abundant in the area and another school of thought says it’s because the shape of the island looks like a diving turtle. There are three main villages on Ko Tao: two on the west coast at Mae Haad and Sairee, and over on the south coast there is Chalok Baan Kao. In addition to this there are a number of smaller bays and beaches with a more limited choice of accommodation and restaurants. Mae Haad is the main village on Ko Tao and this is where boats to Chumphon, Ko Pha Ngan and Ko Samui arrive and depart. The village is a convenient place to stay with a decent selection of hotels and guest-house and plenty of choices for food and drink. The beach here is nothing special, but it’s an easy enough walk along the pathway (expats and divers have dubbed it the ‘Yellow Brick Road’) that links Mae Haad to the more attractive beach at Sairee. There’s a reasonable selection of places to stay in Chalok Ban Kao village which provides a quieter alternative to Sairee Beach. This area is also home to a number of diving schools. Travellers from around the world descend on nearby Ko Pha Ngan for the Full Moon Party and many then travel on to Ko Tao. This means that accommodation on Ko Tao gets booked out so keep that in mind when making your travel arrangements. Diving and snorkelling are high up on the list of things to do on Ko Tao. Dive trips can be arranged with any of the dive shops clustered around Mae Haad and Sairee Beach. If you are travelling with friends or family, it’s also possible to arrange snorkelling trips directly with longtail boat owners. 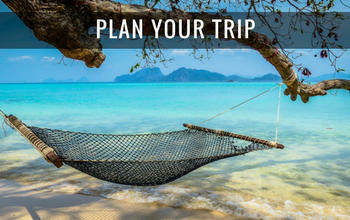 Prices are negotiable and a typical trip may take in Mango Bay and the beautiful neighbouring island of Ko Nang Yuan. Although many people come to Ko Tao for the diving and snorkelling, the island is becoming increasingly popular with travellers seeking wellness retreats. Whether you are interested in yoga, Muay Thai, fitness boot camps, spas or detox treatments, Ko Tao probably has something to appeal. 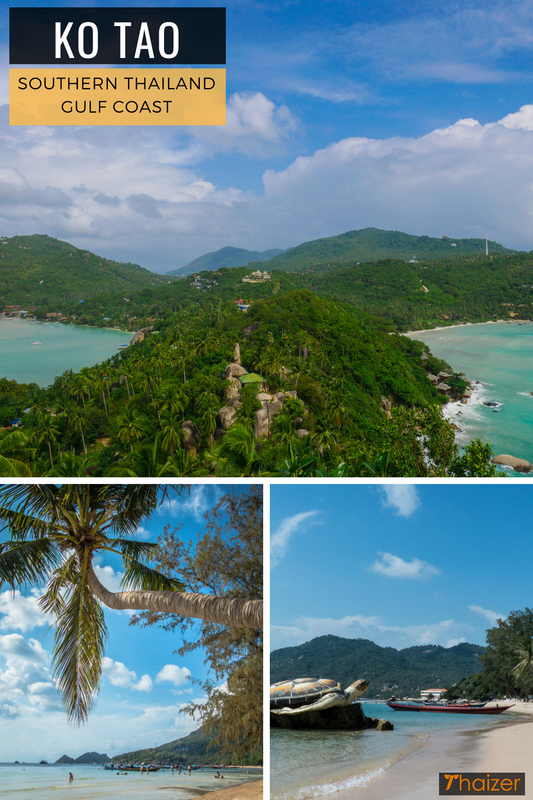 With its mountainous interior, there are a number of wonderful viewpoints on Ko Tao. Some are easier to reach than others with the viewpoint at John Suwan one of the best to see. In 1899, King Chulalongkorn visited Ko Tao which was an uninhabited island at that time. He carved his initials on a boulder at Laem Jor Por Ror Bay at the southern end of Sairee Beach. The fifth king of the Chakri dynasty remains a revered figure in modern-day Thailand and locals and Thai tourists pay their respects at a shrine and statue in his honour in the shadow of the boulder. Ko Tao attracts tens of thousands of tourists every year and the vast majority have an enjoyable and trouble-free stay on the island. There have, though, been a number of crimes and incidents on Ko Tao in recent years which have made international headlines. 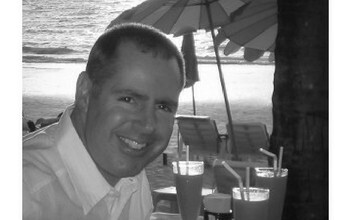 In 2014, two young British travellers were murdered close to Sairee Beach. Two Burmese migrant workers were subsequently arrested and charged with the crime. However, there have been serious misgivings locally and internationally about the handling of the case. There have also been other deaths which local police have attributed to suicide or misadventure. 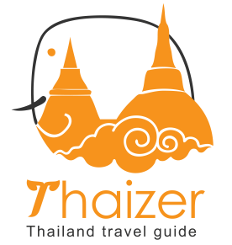 Don’t expect outstanding or cheap Thai food on Ko Tao. This is a tourist island and many of the restaurants and cafes here are geared towards serving tourists. Although there are some local eateries and vendors serving up good quality Thai food, they are in a minority compared to what else is on offer. That’s not to say its all bad, and a serving of pizza or a filling Western breakfast may be a welcome change from rice or spicy food. There is plenty of choice of places to eat in the three main villages of Sairee, Mae Haad and Chaolok Ban Khao. Close to the pier in Mae Haad, Bro and Sis Place* is a solid choice for lunch or dinner with the added bonus of sea views. It’s a convivial atmosphere in the evening too with visitors coming to enjoy the sunset views, cocktails, music and pool tables. You’ll find plenty of places to eat in the area around Sairee Beach which is the main party and nightlife area of Ko Tao. There are a few decent places to eat here and there, but many are underwhelming and overpriced. The nearest airports to Ko Tao can be found on the nearby island of Ko Samui or on the mainland at Chumphon with the latter the more economical option. 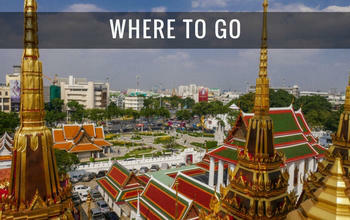 From either airport it still involves an onward boat journey to reach Ko Tao. Ferries depart the mainland from Chumphon and Surat Thani (Chumphon is the more direct route). There are also frequent boat services (ferries and catamarans) from Ko Samui and Ko Pha Ngan. All arriving and departing boats use the piers at Mae Haad on the wets coast of Ko Tao. Ferries can get cancelled when seas are rough and notices on the pier advise passengers who have connecting flights to travel back to the mainland 24 hours before their flight. Weather patterns on Ko Tao are similar to Ko Pha Ngan and Ko Samui, but because the island is further away from the mainland, the effect of the southwest monsoon can be more pronounced on Ko Tao. June-September is generally regarded as the best time to visit Ko Tao with fine weather and good diving conditions. Late October/early November usually sees the arrival of the monsoon winds and rain with the worst of the weather in the period from late November to early December. The weather in January is usually warm and sunny although the first half of the month can also see rain if the monsoon winds linger. From mid-January through to February you can expect to see plenty of sunshine and calm seas. Visibility for diving is better in February. Temperatures and humidity rises during March and April. Although temperatures can be uncomfortably hot on land, it’s a great time for divers with the start of Ko Tao’s whale shark season. Temperatures on Ko Tao remain high in May and June, but onshore winds brings the humidity down to far more comfortable levels making it an excellent time to explore the island. At sea, the winds can bring big waves. Dive schools may rearrange their schedule at short notice to take into account any change in conditions. 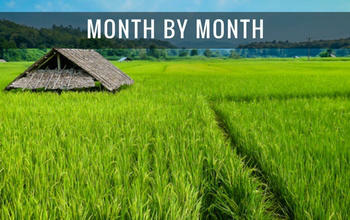 With settled weather, cool breezes and wonderful diving conditions, July and August are ideal months to visit Ko Tao. This also means that the island is busier at this time so it’s best to pre-book accommodation. For divers, visibility can be around 30 metres and with such good conditions dive trips can get booked out early. As with accommodation, pre-booking your dive trip is recommended at this time of the year. September is another good month to visit Ko Tao. The fine weather from July and August extends into September and there is the added bonus of superb visibility for divers. From mid-October the weather starts to change on Ko Tao with the arrival of the monsoon winds bringing rain. Visitor numbers drop although diving conditions can remain good, particularly in the early part of October. November is the month which usually see sees the worst of the weather on Ko Tao with heavy rain showers and overcast skies. You may still days with good weather too, but be prepared for tropical downpours. It can still be a decent time for divers with reasonable visibility and whale sharks still around. However, the period from late November to early December is the low season and some dive operators temporarily close down. The run up to Christmas and New Year sees an influx of visitors with Sairee Beach particularly busy. *The weather table below is for nearby Ko Samui and compiled from figures supplied by the Thailand Meteorological Department (TMD). Although the figures are slightly different for Ko Tao, TMD didn’t supply the full data so this table can be used as a guide instead to give you an idea of what to expect from the weather on Ko Tao.